Headliners Chorus is a group of women who sing a cappella 4 part harmony, primarily in a modern barbershop style. They are members of the worldwide organisation Sweet Adelines International, which was formed in America in 1945 and has 25,000 members worldwide. Its members are women who are committed to advancing the musical art form of barbershop harmony through education and performances. The Australian Region of the organisation has 31+ chartered Choruses who compete regularly around the country. The Headliners, as they are fondly known, started small in 2009, and now are a chorus of more than 30 members, drawn from all over the Northern Rivers. Members travel from as far as Evans Head, Federal, Byron Bay, Lismore, Lennox Head and Ballina, to rehearse every Monday night in Ballina. The women sing with energy and joy – adding their unique style and four part harmonies to jazz, swing, rock ‘n roll, pop or show songs – their sole aim is to entertain. They love to tell a story with their music, whether it be romantic ballads or dancing their way to foot tapping uptunes. You may find small or large groups at all kinds of functions around the Northern Rivers area. 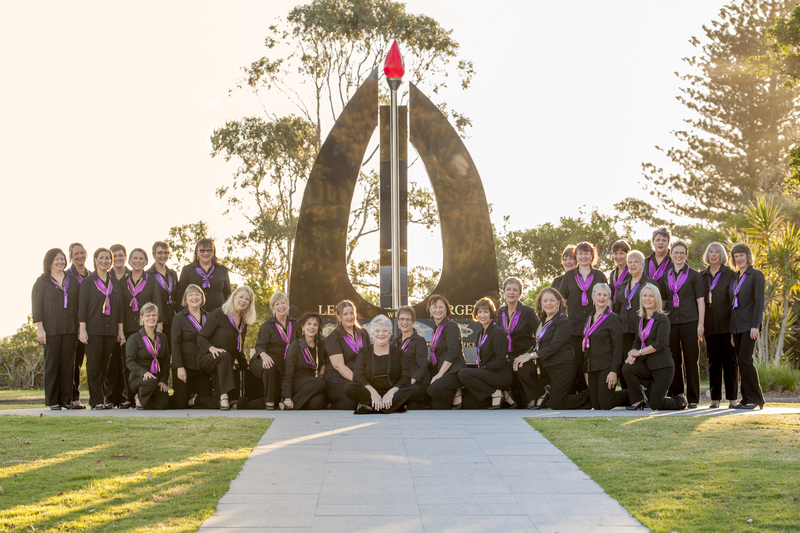 Headliners Chorus has competed in seven National Conventions, the first one being in Wollongong in 2002 (with only 15 women), The 2014 Sweet Adelines Australia Convention in Sydney saw Headliners embracing the new Open performance division. Their entertaining three song show package was enthusiastically received and earned them a standing ovation. They are fortunate to have, as their Musical Director, the talented Cathy Gordon, who continues to inspire them and enable them to bring the very best to all their performances.